If you’re ever wanting to knock it out of the park with a bold print, Dolce & Gabbana is your one-stop-shop. 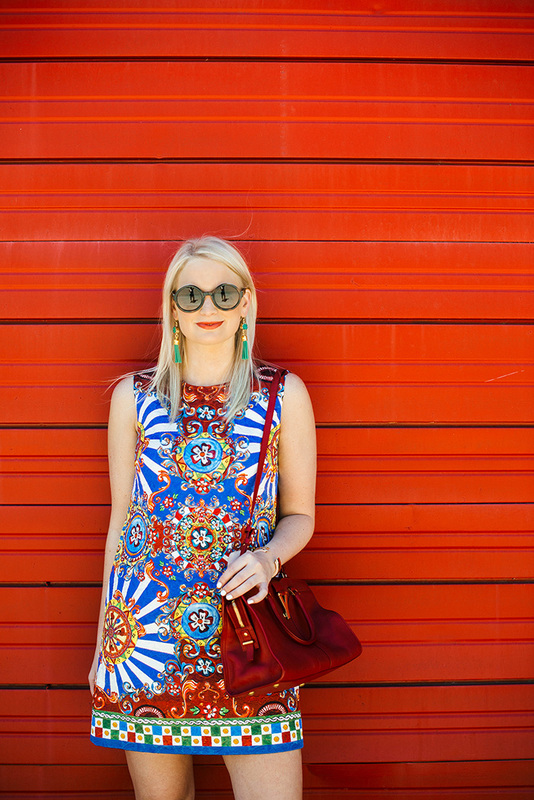 I mean, have you seen the lemon and poppy prints this season? Darling! In addition to creating feminine, flattering silhouettes, Dolce & Gabbana has consistently blown me away year after year with their creative and captivating prints. 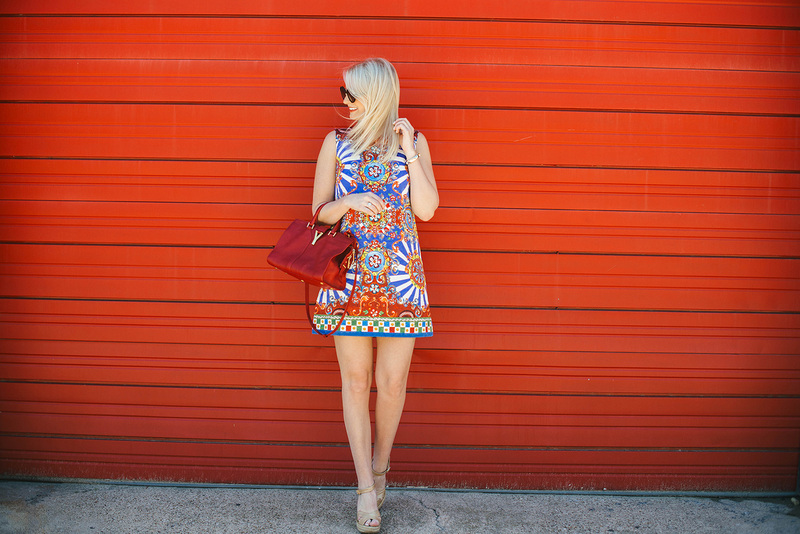 Last year it was the key print – it’s still one of my favorite dresses! I wore it again on Christmas Eve this year! 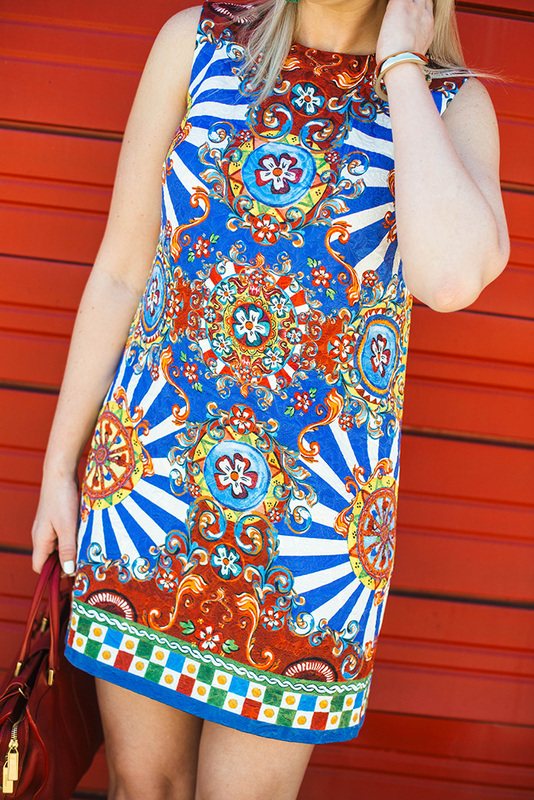 This spring/summer, they came out with a series of vibrant prints that pay homage to Italy. The print on this shift reminds me of all the colorfully printed plates that food is served on over in Italy, specifically in Positano. What’s so great about this particular number is its versatility. Here I’ve styled it for daytime – such a lovely option for a luncheon, bridal shower, etc, don’t you think? While you can surely dress it down like I have here, this dress is a stunning evening option as well. The brocade fabric is so luxe and glamorous, so just grab a pair of statement earrings and your go-to heels for a standout look. PS – while in New York, my mom and I stopped in the Dolce & Gabbana store and discovered dresses that are inspired by vintage Italian postcards – they are each uniquely embellished and feature a different Italian city. You’ve gotta check out Venezia and Sanremo. I’m obsessed! If only the price tag weren’t so steep… a girl can dream! Such a fabulous piece! Perfect for summer. Loved the green lace dress, too…when I clicked though! Their dresses and accessories are so fabulous! 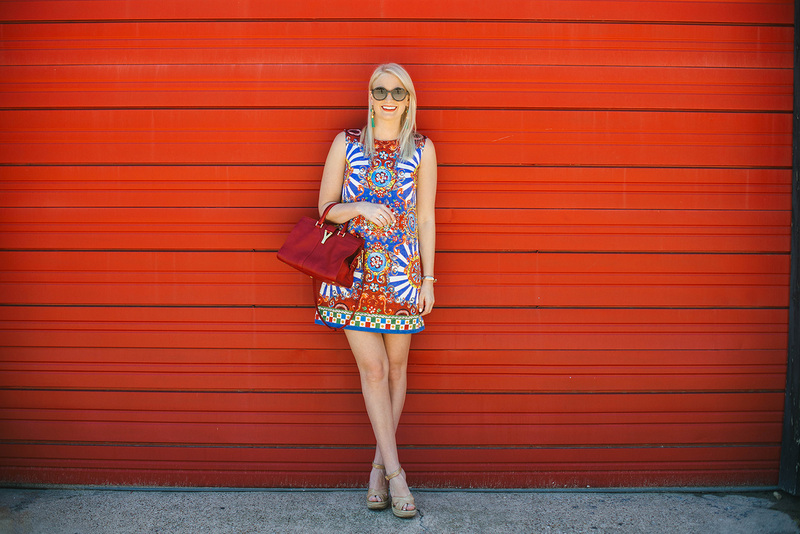 I love the way that you styled the look, and the print totally pops against that wall. Love your blog & snapchat! You mentioned on SC that you worked as a social media manager in Houston. What firm was it? My daughter is a jr. at Baylor studying PR. Such a cute dress! 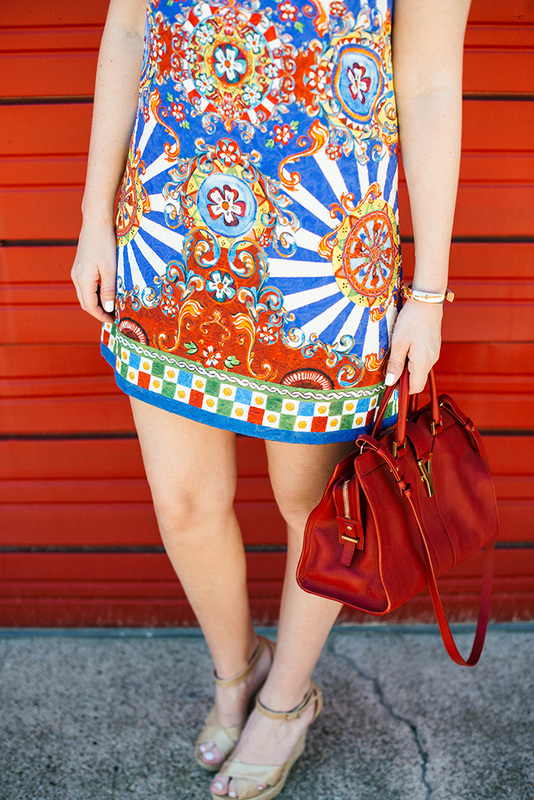 Love the bright, bold print! And those tassel earrings are the perfect addition! Wow, this is so beautiful on you!! I’m all for a bold print, this is gorgeous on you. Really loving your sunnies, I’m a sucker for a good pair of round sunglasses! This dress is soo beautiful! *-* I love the print! :) Great shooting location! This dress is fabulous! I love how you styled it with the red YSL bag! LOVE! This is such a fun print! I love the earrings and red for the background. That bag is my favorite!